One of the latest releases from Matador Children's Books is Flat Squirrel by established author Fiona Faith Ross. 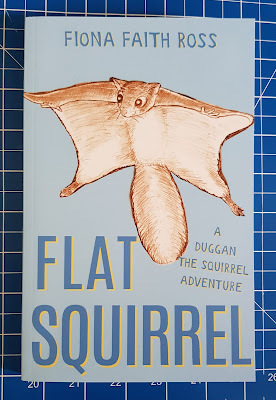 The Flat Squirrel of the title is called Duggan, and he's a flying squirrel. Duggan and the other animals all face the usual struggle for survival, especially concerning finding food. 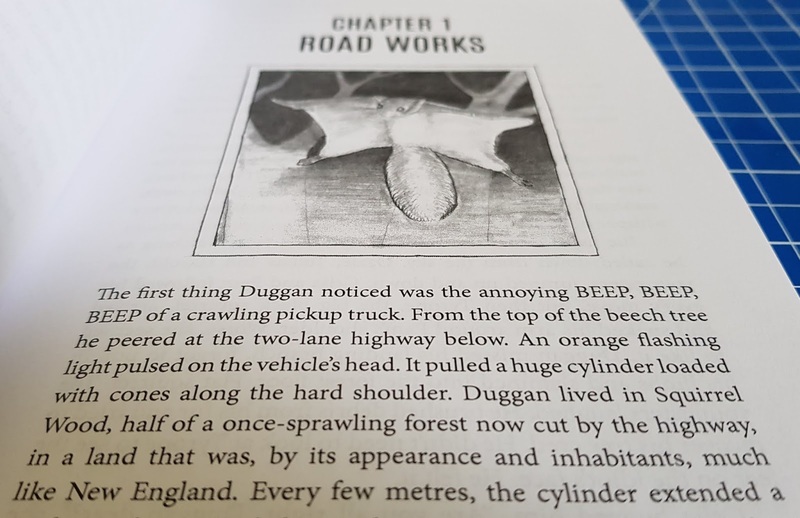 Duggan lives nearby a busy road, and lost his Mum there in a tragic accident which he remembers all too well. He needs to cross in search of more food though, and once over, he spends time with a new bunch of animals who are tentative friends, prepared to share what they have, but always a little wary of the others. Although the characters are animals, this isn't 'babyish' and I imagine it in a similar animated style to 'Over The Hedge' or another modern movie. The storyline is modern and even though I haven't ever seen a Flying Squirrel in real life, I can picture the scenes easily in my mind. This is in no small part due to the excellent illustrations by Fraser May. Black and white line drawings, they are very well done and remind us that we are talking about real animals, especially when they are in human environments. The story focusses on the effect that humans have as they destroy the balance of nature. Everything they do has little regard for whoever lived there beforehand, and the removal of trees and plants removes the animal's food, forcing them to turn to the humans for sustenance instead. There's a message here which we should all heed. The writing is lovely, with good scene setting and a very clear story. The characters are all likeable and understandable, and younger readers won't have any problem following the story. There is plenty of humour and lots of strength, as the animals pull together to help each other through adventures and scrapes. Author Fiona Faith Ross is giving away a copy of Flat Squirrel each to two UK readers. All you have to do to enter is go to the Flat Squirrel Facebook page, like the page and add yourself to the Prize Draw thread by saying "Prize Draw" and/or your name. Be quick though, as you only have until midnight Saturday 4th August to enter! 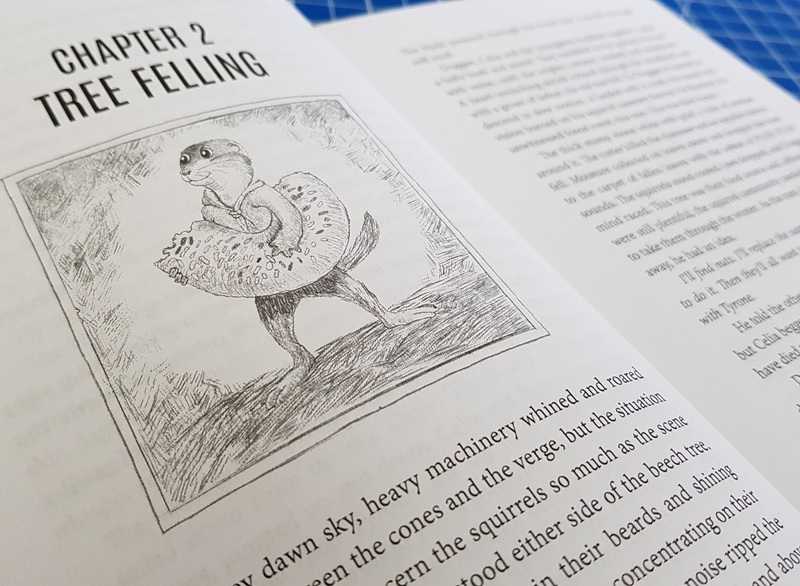 Flat Squirrel is written by Fiona Faith Ross, illustrated by Fraser May and available now from all good bookshops, including online from Matador. Paperback, 186 pages, rrp £8.99.